I Am The Artist, You Are The Canvas. 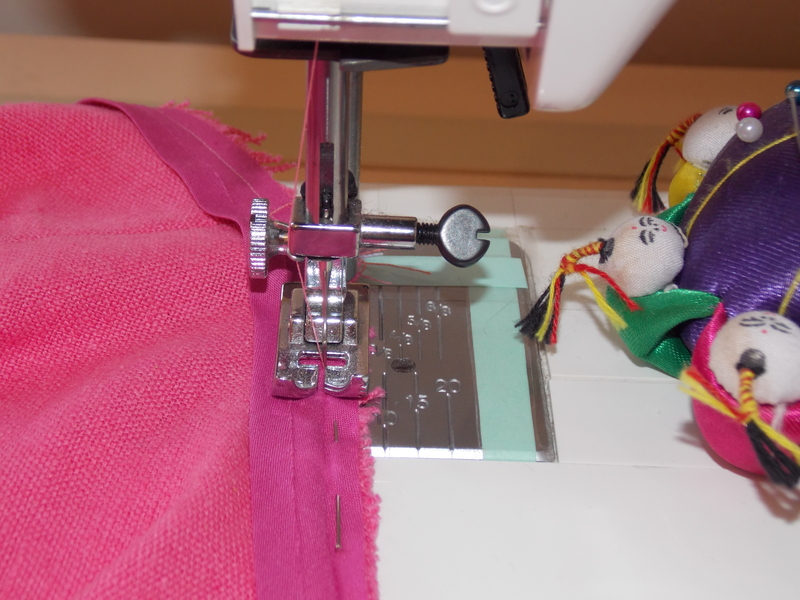 I seem to be letting life take over sewing and blogging at the Minuit! 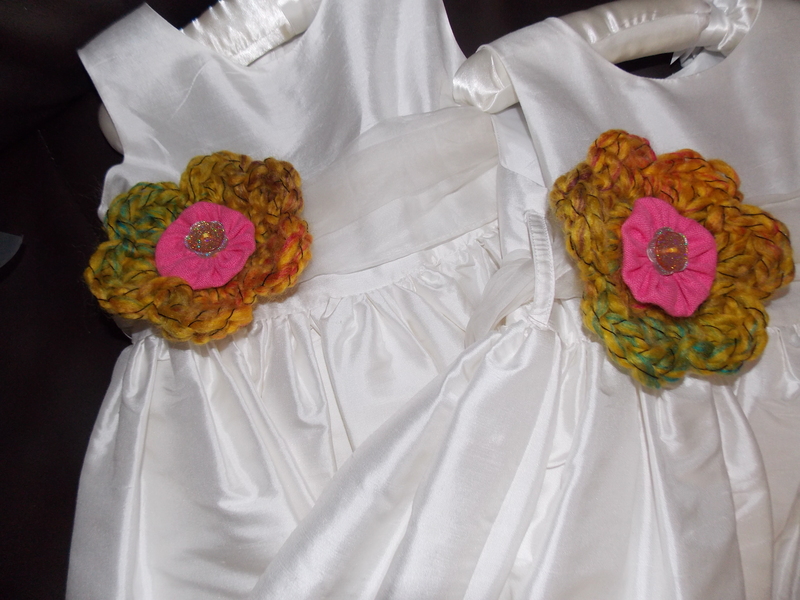 I have at least 2 projects that need done yesterday and at least 3 blog posts photographed! So here goes one off the list! 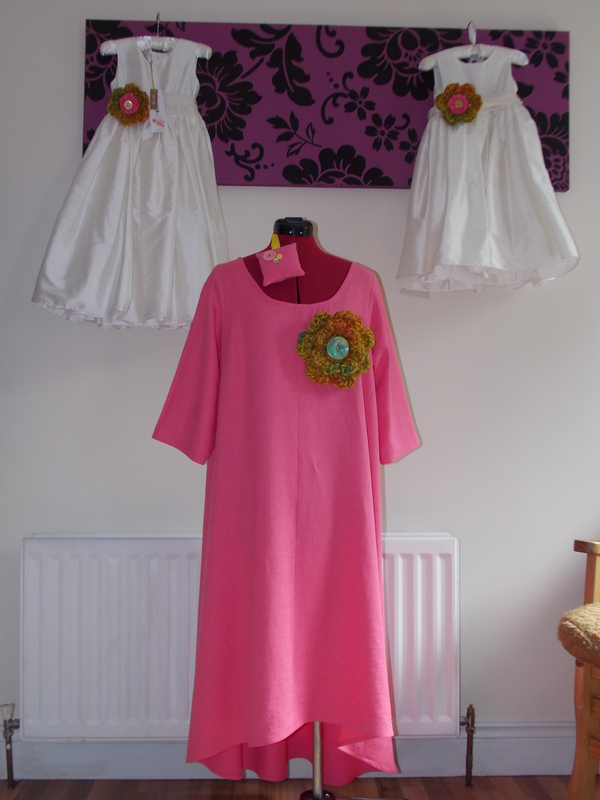 The Pink Linen Simplicity 1621 with crochet flower embellishment. This was made for Mrs.M, She has a wedding in a few days now. Her wee boy is page boy and she was looking for something different. We decided to go for this, it’s easy to wear. 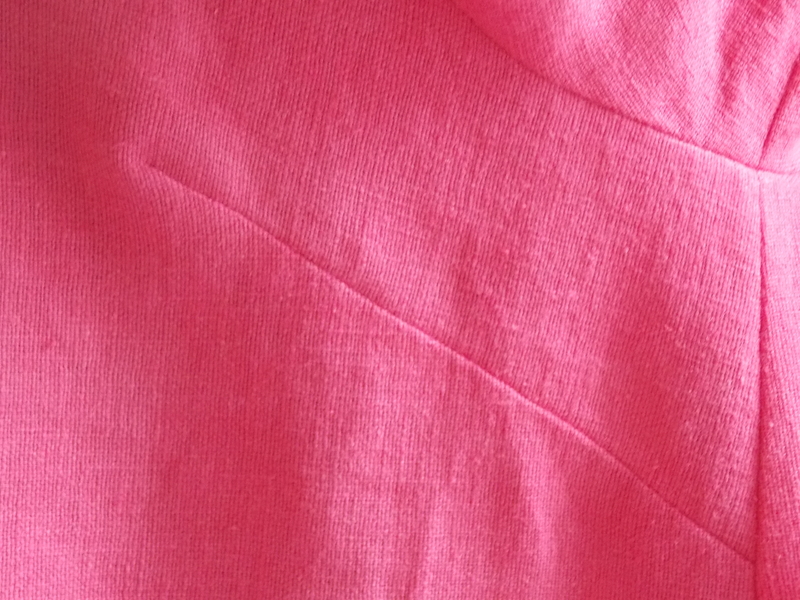 Simple but with WoW with the right fabric…..
After much humming and hawing, we decided on this pink linen. 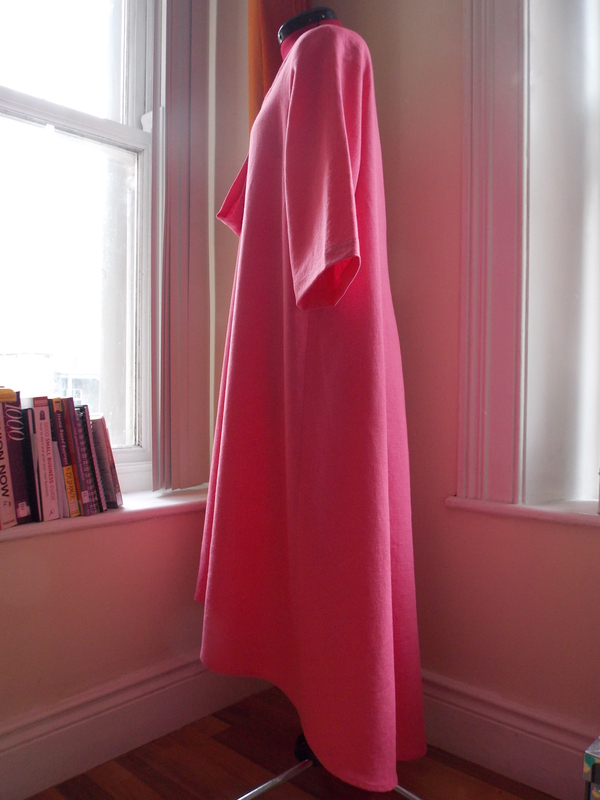 It’s drape is divine and heavy enough to give a real sense of luxury (it was priced at £12.99 per meter). 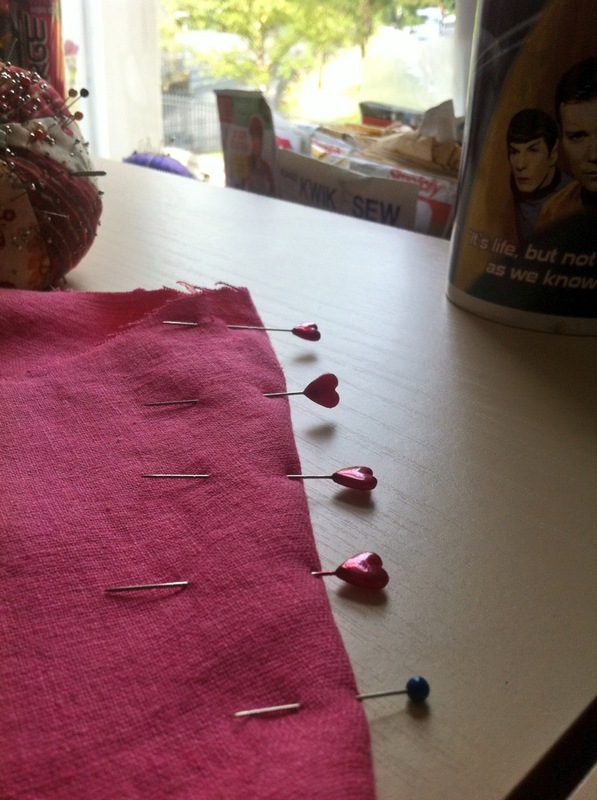 We bought and extra couple of bits for embellishments too..
For this fabric I use a squillion pins, because your garment is only as good as your cut! Time for a few action shots…….. 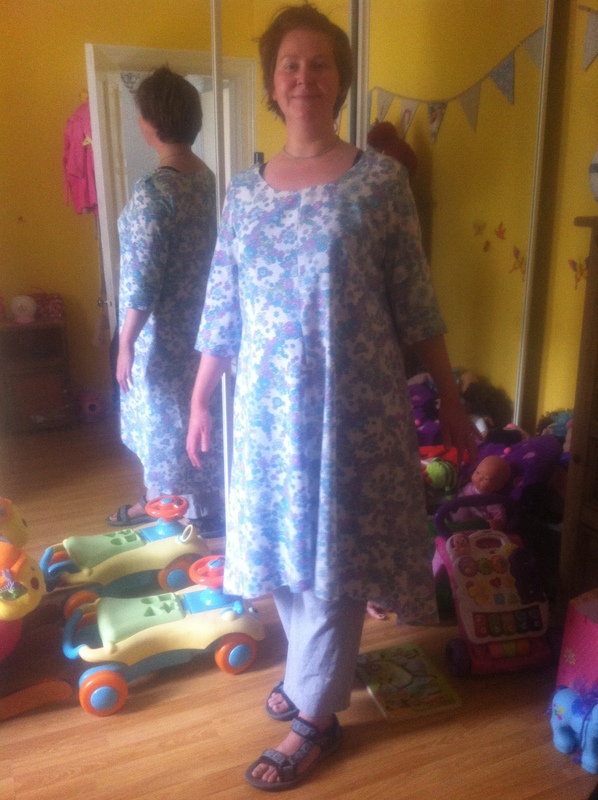 I do love this fabric it’s really loose but heavy with a fantastic drape, BUT it is a bit of a nightmare to work with. The darts were hard work…. I ended up hand stitching these! 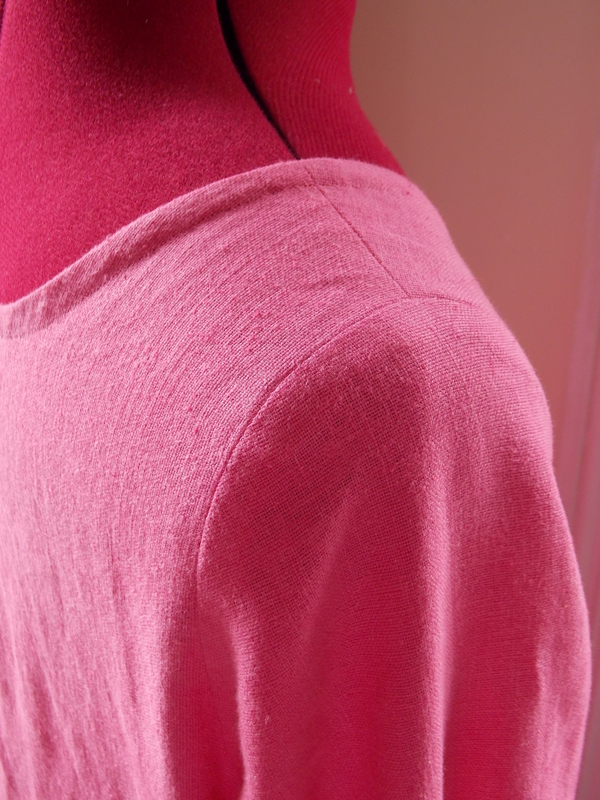 This is my first time using bias tape as a type of finish/facing…. I have to say I am converted, Pressing is the key to a fabulous finish! 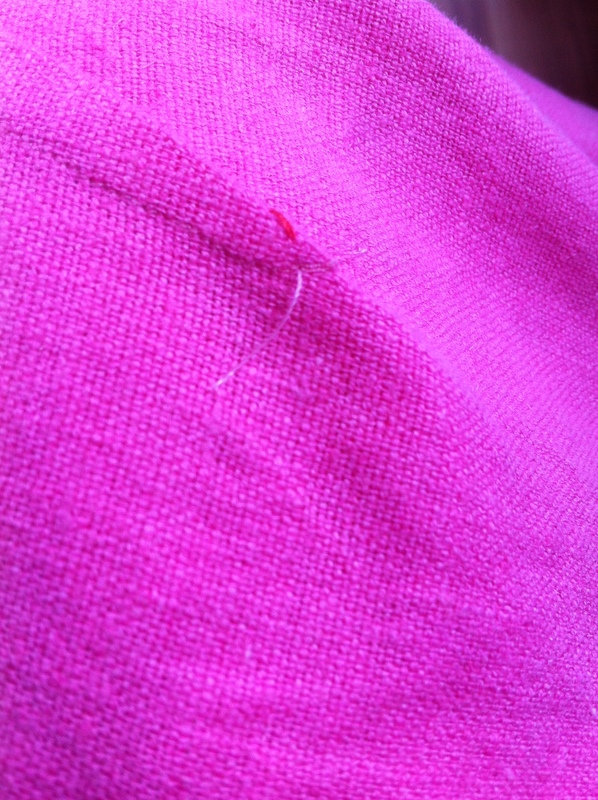 A joining seam….. You know how I love a matching seam. RIGHT!! 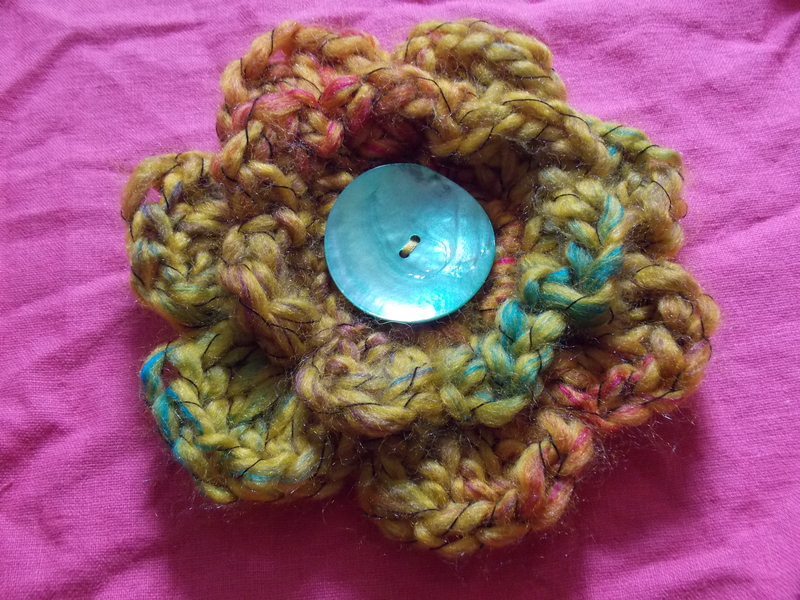 The crochet flower is made with a 12mm hook and chunky wool, the backing is made with 3 layers of felt blanket stitched together.. 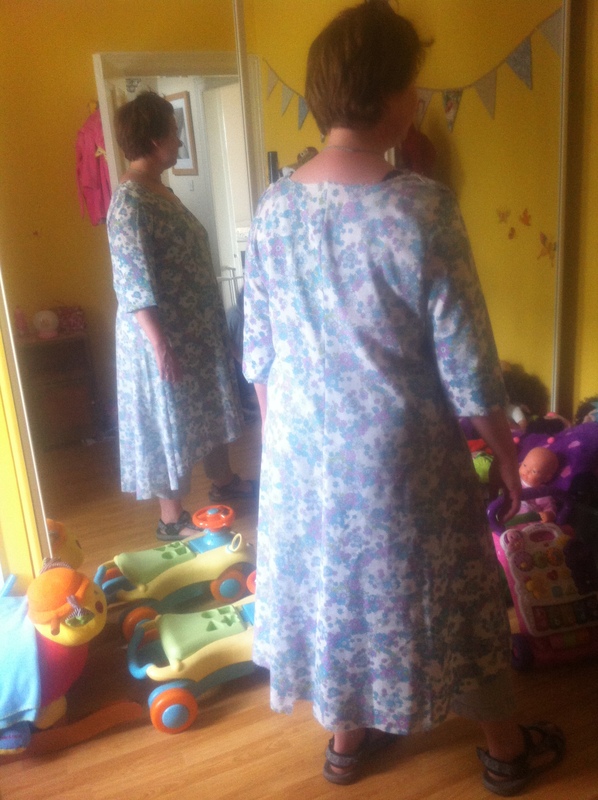 This pattern was made for her, she loved it…. 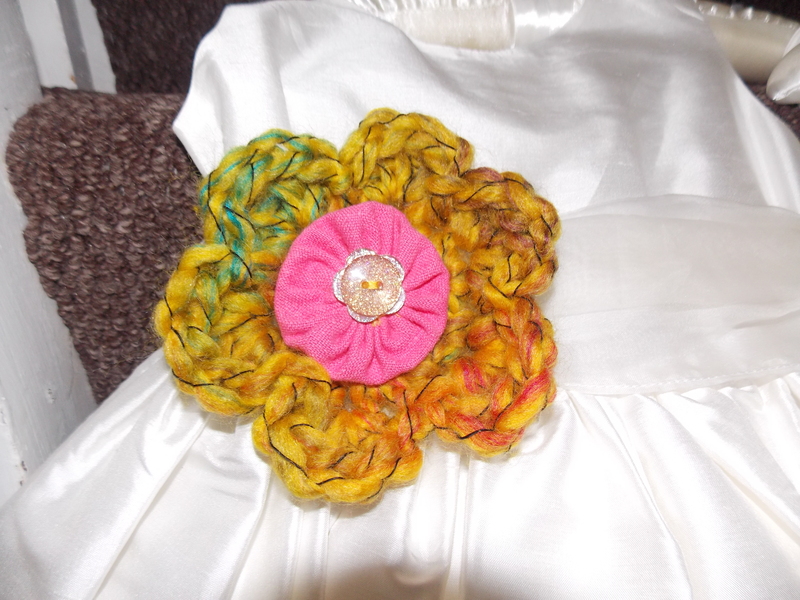 Now all the ladies have a matching bit of flowery flow through their outfits! 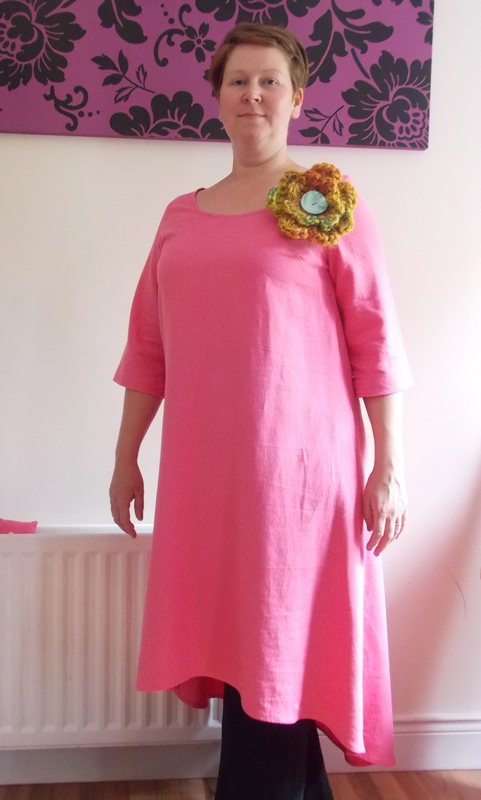 So what can I say about Simplicity 1621, well it’s not a pattern I would have gone to for myself. BUT now that I have made it for Mrs.M….. I might just make myself the original version on the envelope! 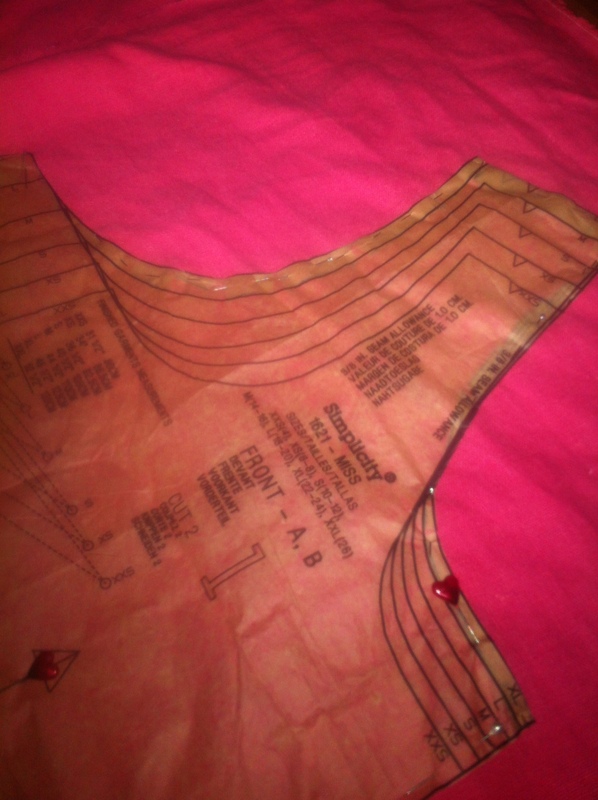 If your looking for The Big Solely Sewing Pattern Swap head on over here! I personally have never bought this mag before, on first glance I think it seems a little generic, old fashioned even….. BUT don’t let the font of the title put you off! 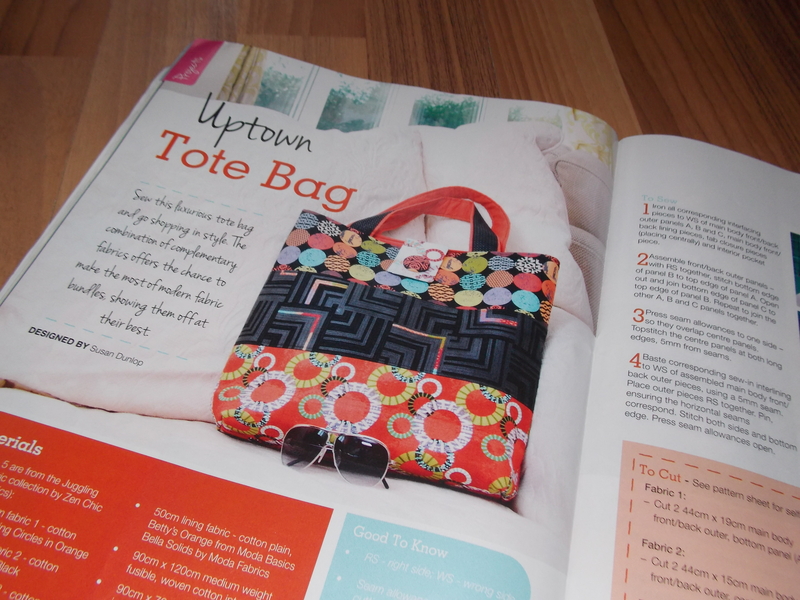 This magazine comes with Full sized pull out patterns, For me this is massive…. I do have a printer/photocopier BUT it’s not playing ball with me ATM, so I have to head to the library and then tape, tape, tape! 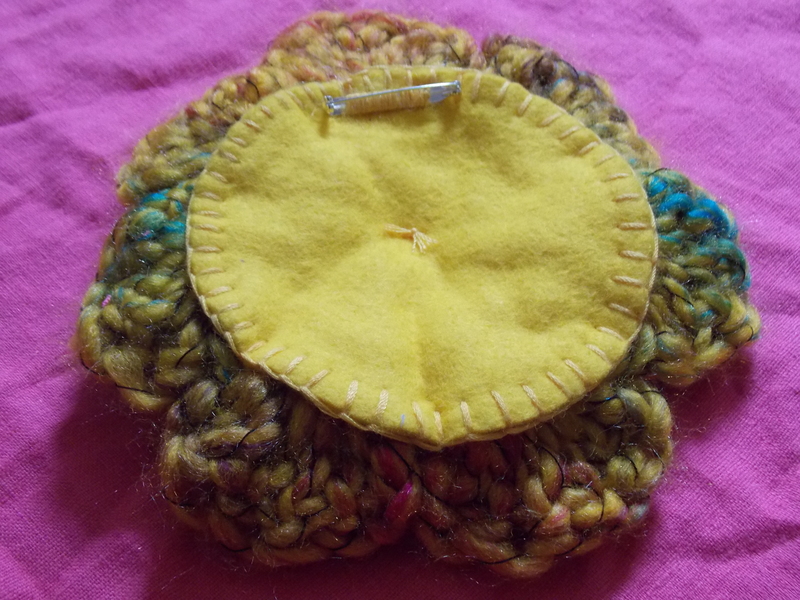 There are three main sections they include, REGULARS, TECHNIQUES & FEATURES and lastly MAKES. I Enjoyed reading the breaking news, This is where I found out about LOOKWHATIVEMADE.com A fab place to go show of your finished projects! 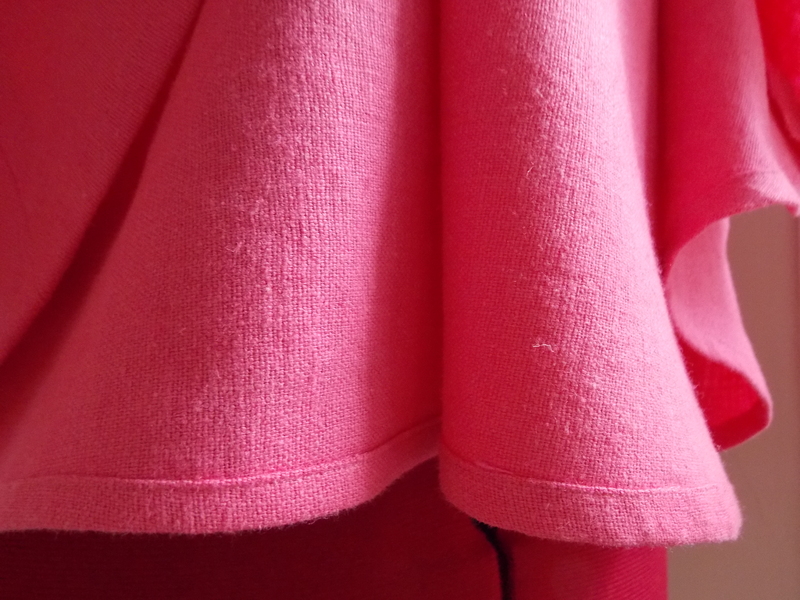 There is a Masterclass segment too, this is a step by step guide and the pattern for this month is a princess seam dress… This is found in the pull out and all at 100% too!! I would say the pattern is for a size 12-18 and as much as it a masterclass on altering patterns to improve fit, Being an 8 would be quite the alteration! 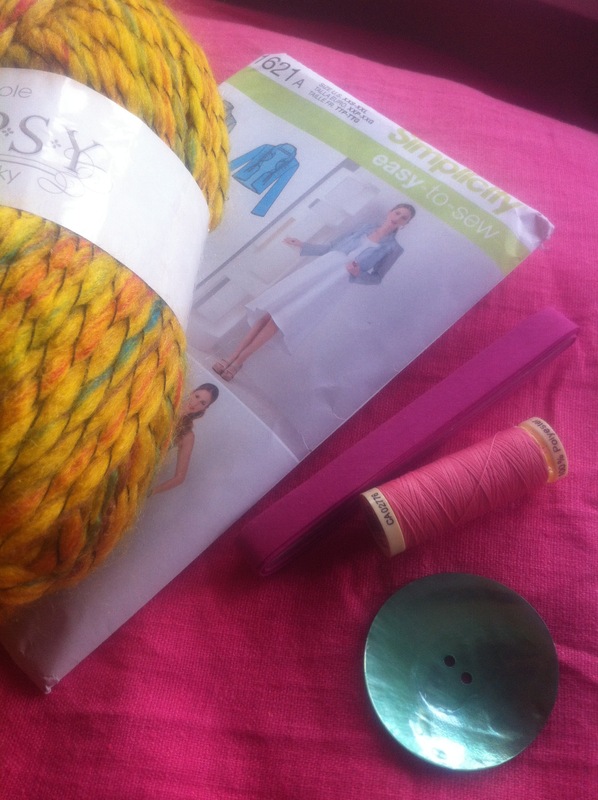 I have started this project already…. I just have to choose some lovely fabric! 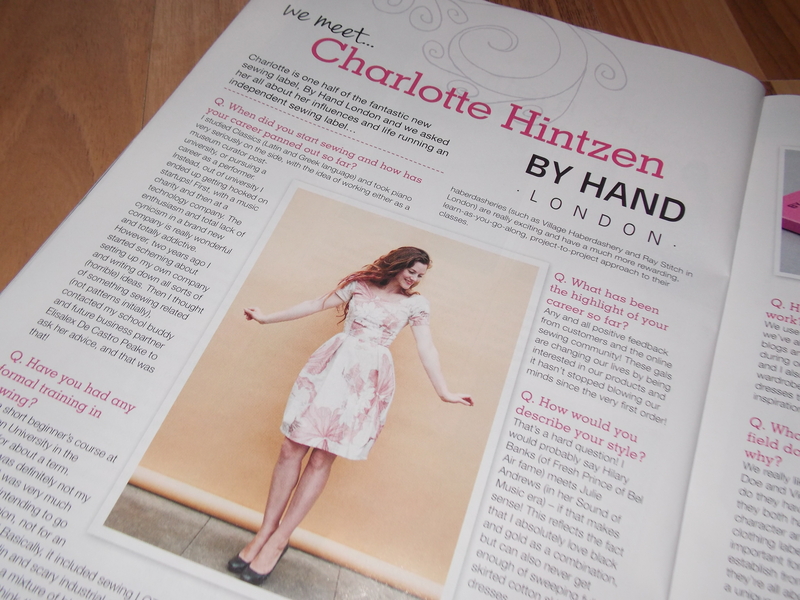 The Features section was really interesting, there’s a showcase of lovely summer sewing patterns, a 2 page spread with Charlotte Hintzen of BY HAND – LONDON I have to say I do love their Victoria Blazer. 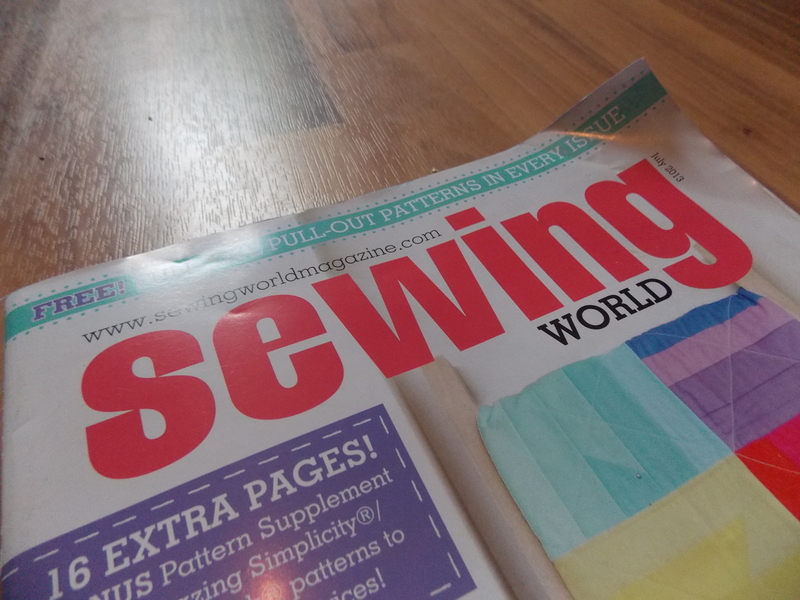 There is also a fab write up by our very own Fiona Pullen of The Sewing Directory, Men Who Sew I have to say I very much enjoyed it! 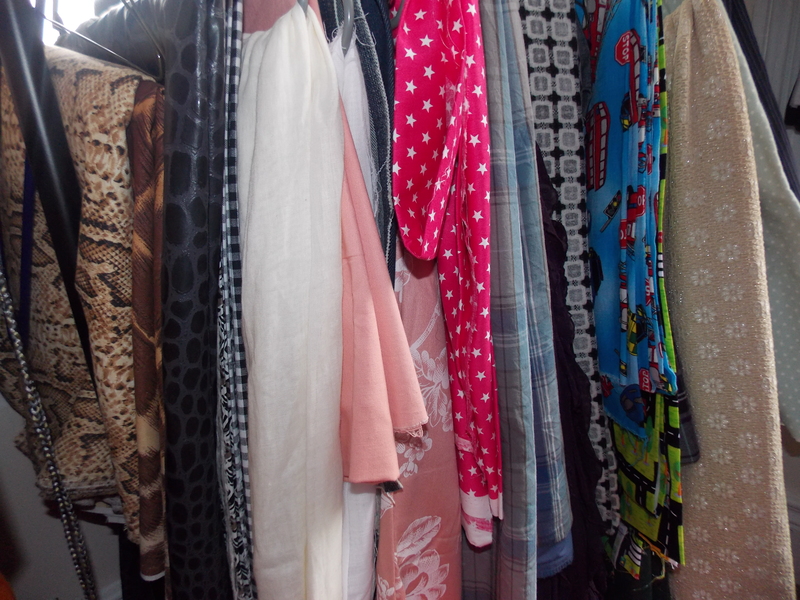 There is also a segment Readers Market, this is a page filled with lots of goodies for sale/wanted…. I think this is a really different, I’ve never seen it anywhere else!! Just to add you can list things there for free!! So what can I say about this magazine….. Well I found myself at the newsagents just a couple of days ago, and yes I did buy Augusts issue!! There is a lovely Camera Bag & The Sweetest Jacket too. In this issue there is something for the little guys in your life, The Cutest hat with fab peak!! 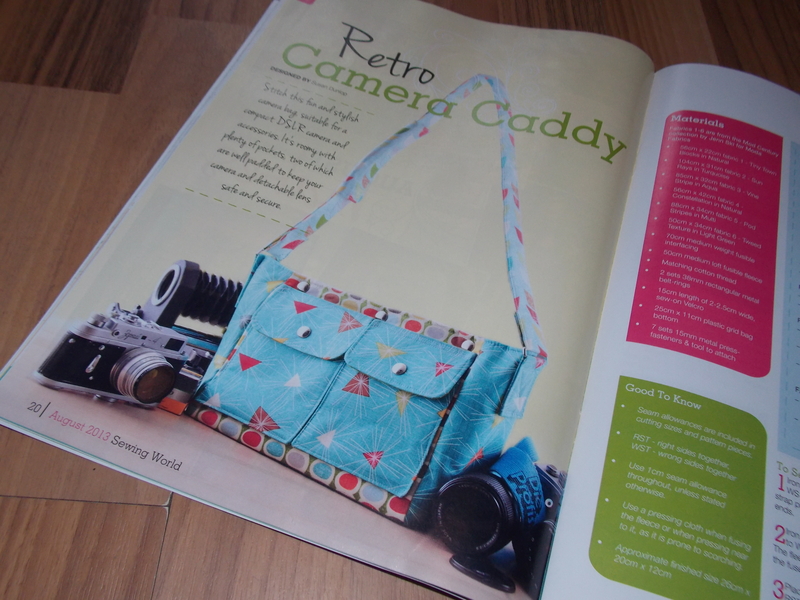 Basically I think it’s a fab magazine, The only real downfall for me is the pattern sizes! 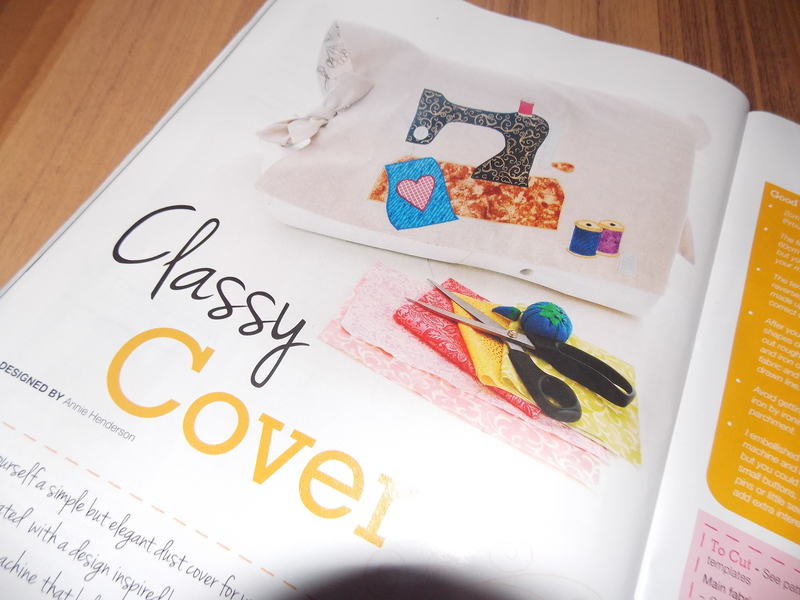 I reckon in the future I would defo buy it for the sewing projects… I mean how many magazines give you full sized patterns!! 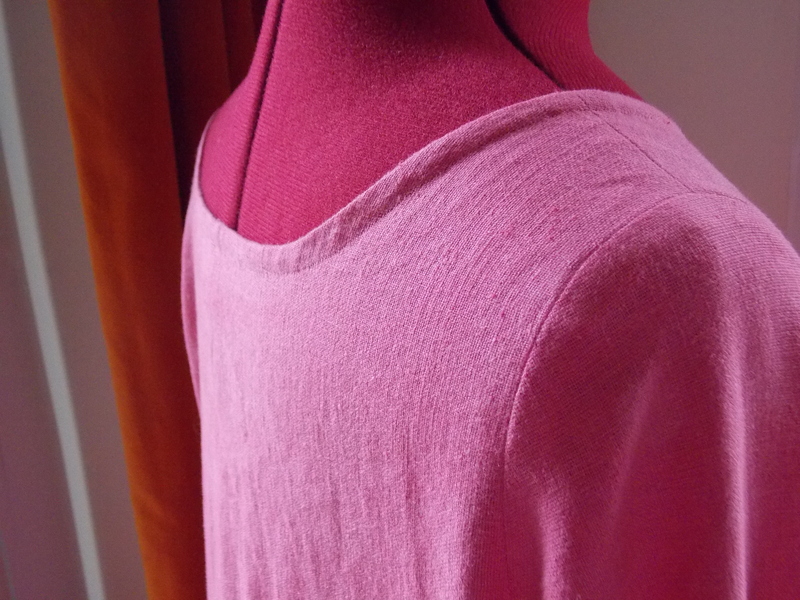 The Big Solely Sewing Pattern Swap & My 100th post! So this is my 100th post, I thought I’d make it a good one….. I recently moved house, and gained a new sewing room. I was able to see my full hoard stash in all it’s glory! 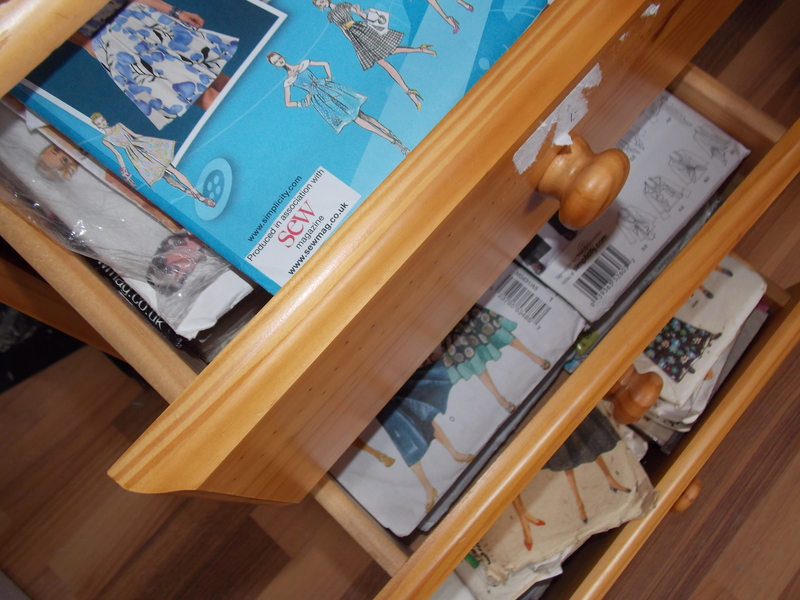 I have decided that I have way to many sewing patterns, as well as everything else! So instead of selling them on I have decided to host a swap! Swaps are always fun right?!?!? So how will this work I hear you say!! 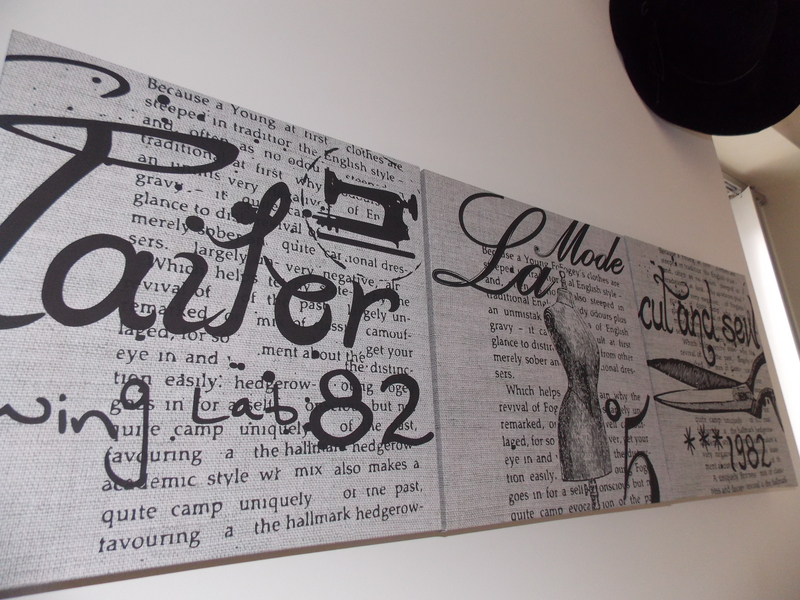 I have made a new photo album on my Solely Sewing Facebook page, (I have put the album over on Facebook as there are so many!) This is where you can see the collection and info such as sizes. 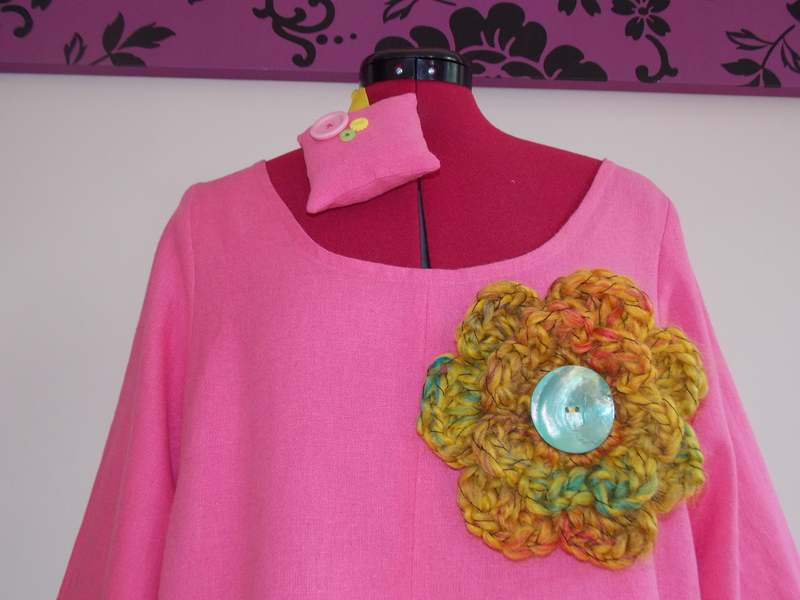 It is not necessary, but you can follow Solely Sewing here on wordpress, Facebook & Twitter to keep up to date. 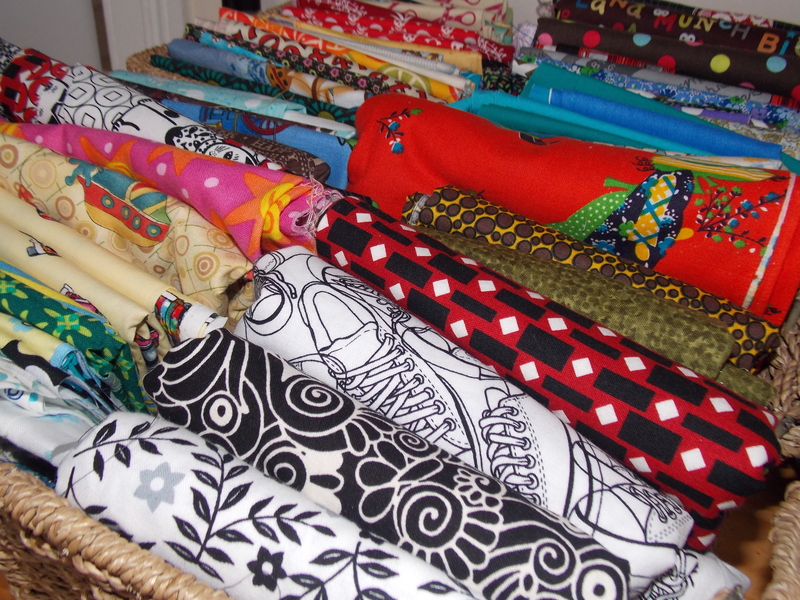 What can you swap if you find a pattern you like?!? I have a vague wish list on my Pinterest, this board was not made for the swap, but it’s a good indicator of what I’m on the look out for! Everyone who takes part will pay there own Postage & Packaging, this will be the only charge! 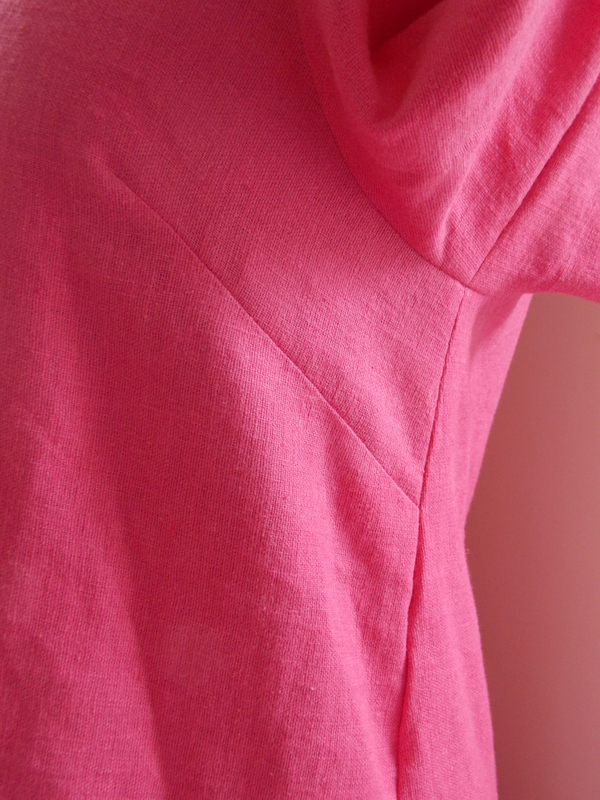 I don’t really have a end date on the swap in mind, I reckon it’ll be live till all the patterns are gone! So how’s that for a 100th post huh?!?!?! 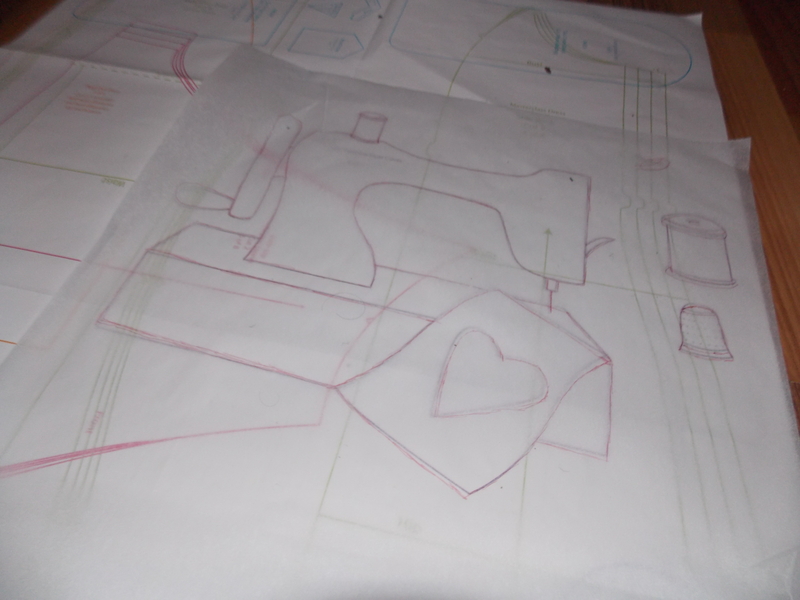 I hope you enjoy having a peek through the Sewing Patterns & please do drop me a line if you have any questions!